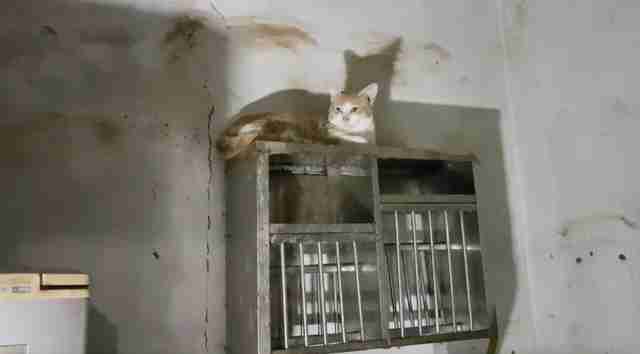 The tiny apartment was covered in filth, and 56 cats had been trapped inside for over two years. But their lives were about to change. 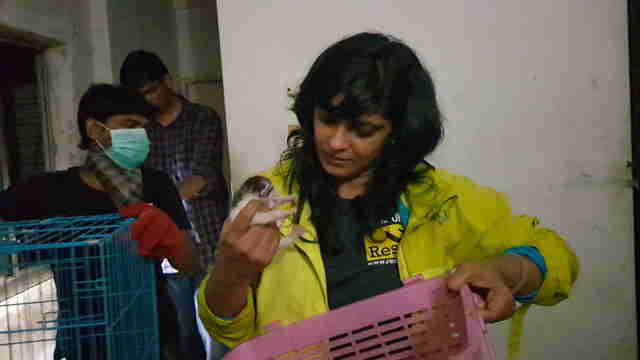 Last September, rescuers from ResQ Charitable Trust and Humane Society International (HSI) in India, along with local police, went to investigate a fourth-floor apartment in Pune, India, after receiving complaints from neighbors. 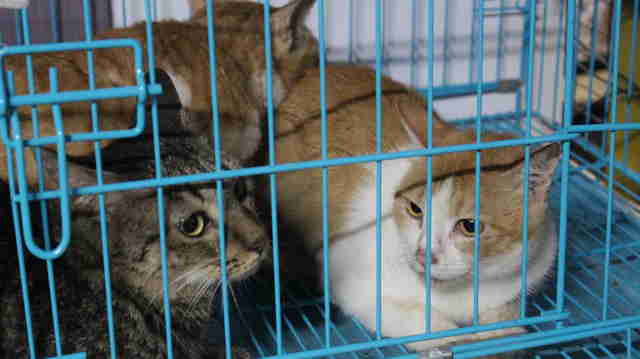 Two women had been hoarding cats, and the neighbors had been smelling a terrible odor coming from their apartment. But nothing prepared the rescue team for what was inside the apartment itself. 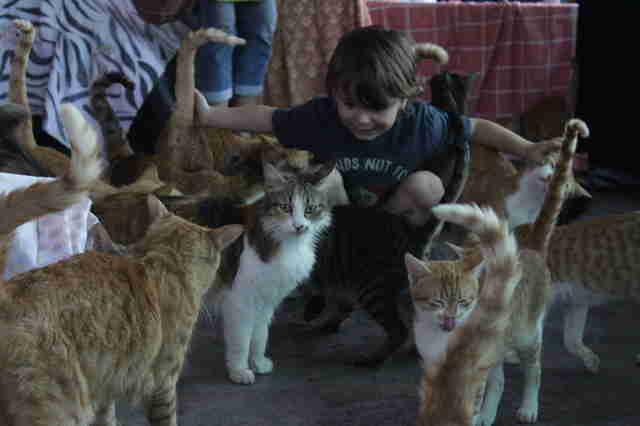 When the “owners” fed the cats, they just threw food onto the floor. To make matters worse, the apartment had no air vents or open windows. 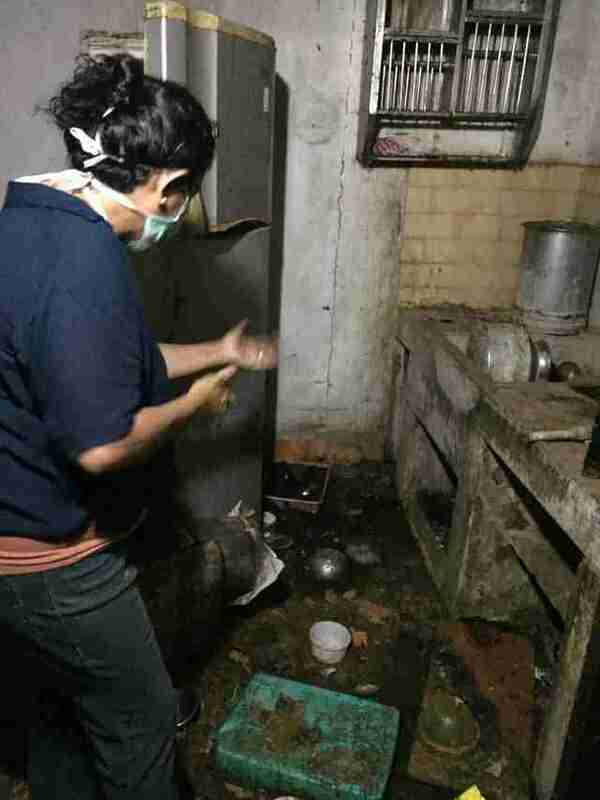 “Our team had to go out and breathe fresh air because we were unable to cope with the stench of the place,” Panchamiya said. The cats had tried to seek refuge — they’d hidden away in cupboards and on top of shelves and the fridge. 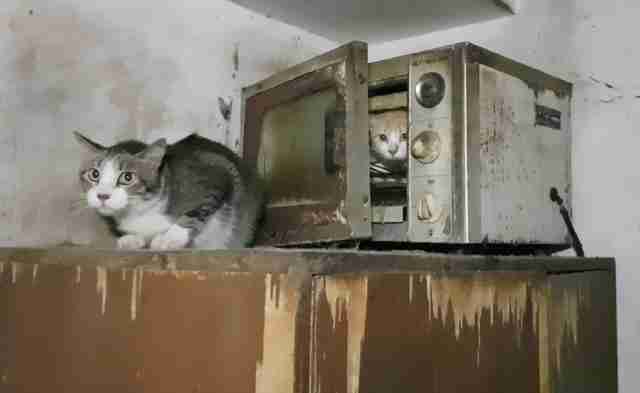 A couple cats even tucked themselves inside an old microwave. But there weren’t many places for them to go. “They were basically hiding on anything that was above the ground,” Panchamiya said. The severity of the situation made the rescue team even more determined to get the cats out. 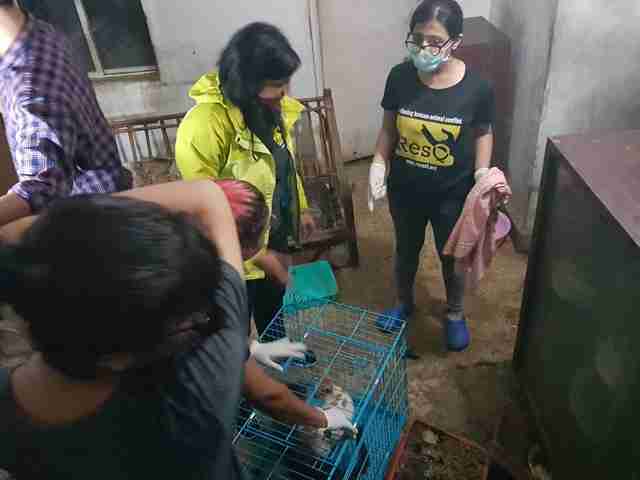 Over the course of nine hours, everyone worked together to catch all of the cats and move them to a cattery run by ResQ Charitable Trust, where they’d also be examined by a vet team. 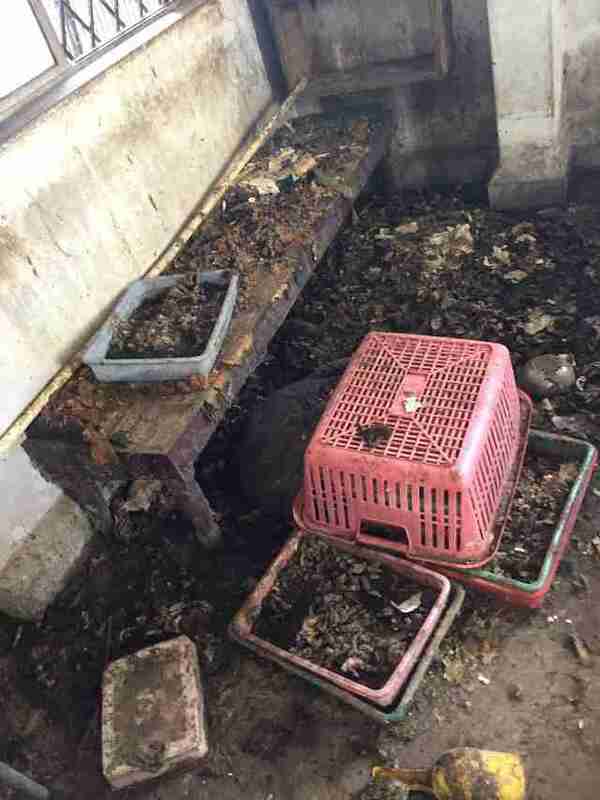 Sadly, seven of the cats didn’t make it, but the vets worked hard to help the others get healthy. 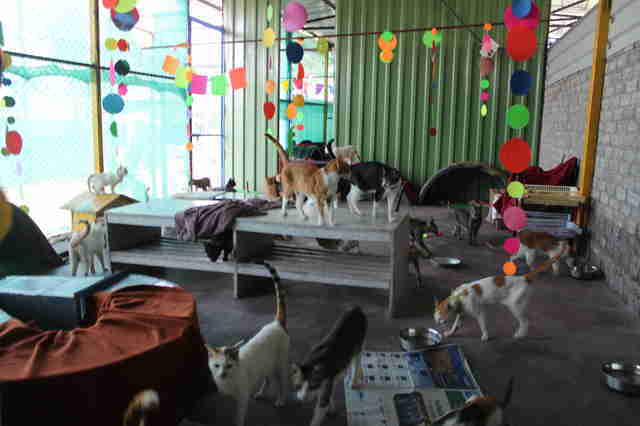 At first, some of the cats weren’t sure what to do with all the space inside the cattery, or what to do with the toys and cat beds they now had. It took Spidey two months to finally come down from his perch, but he eventually started to trust his caretakers and even began to seek out attention. 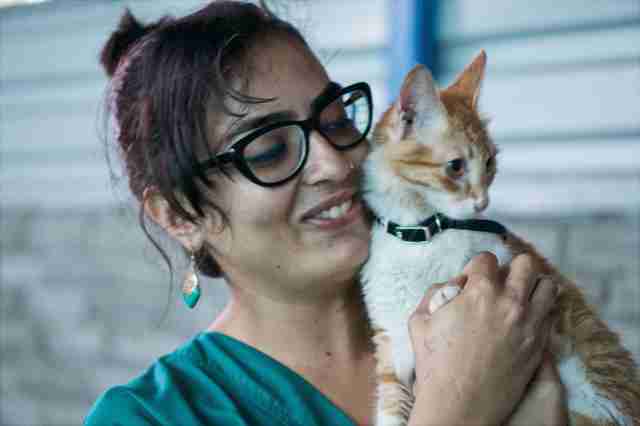 An orange and white cat named Scarlet also had an amazing transformation. A senior named Dunhill is another cat who drastically changed after being rescued. 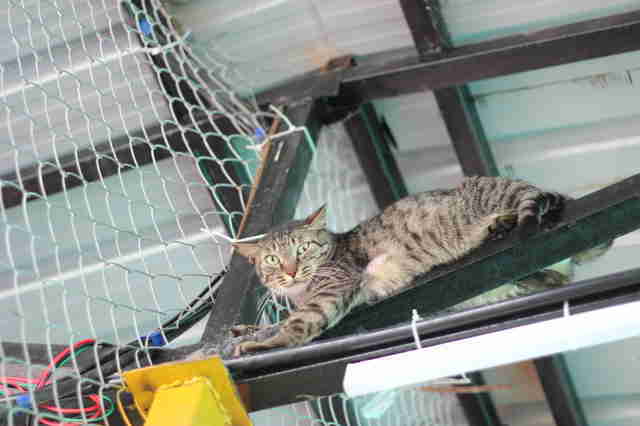 While the rescuers were legally able to remove the cats from the apartment back in September, they had to wait on court permission before they could rehome them — but they finally got this permission this week. 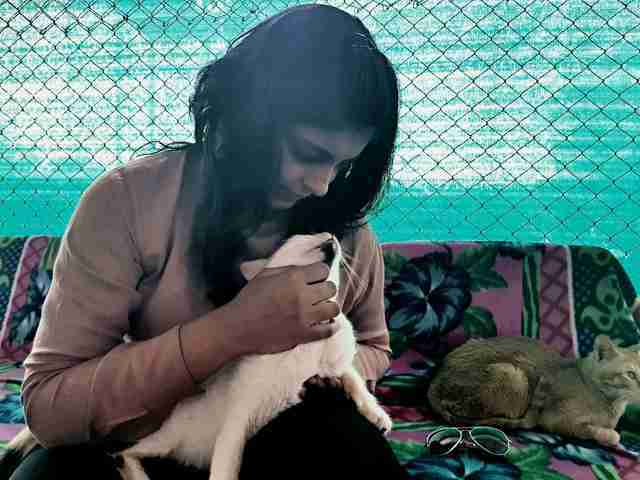 Now the team is concentrating on finding the perfect homes for these cats, preferably in India. 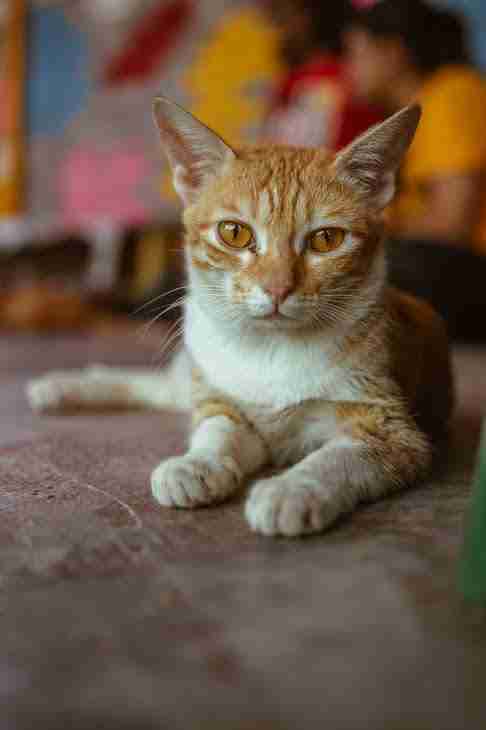 To help care for these rescued cats while they wait for their forever homes, you can make a donation to ResQ Charitable Trust.